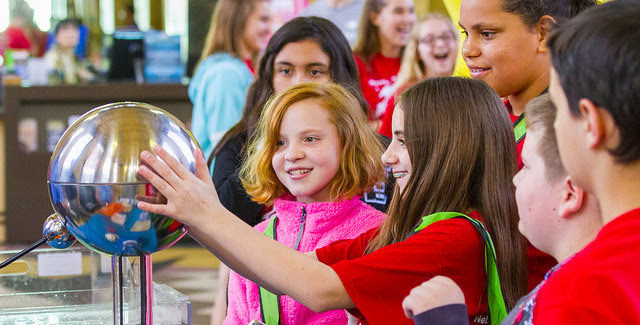 April 5 marks the beginning of the 2019 Nebraska Science Festival. And, with more than a 100 events, how will you celebrate science? visit the famous Edgerton Explorit Center in Aurora. The celebration continues with state-wide activities including Woman In Science: Omaha Science Cafe with Beth Roxland, SciPop Interactive at the Strategic Air Command & Aerospace Museum, an engineering showcase in Lincoln, a music performance mixing art and science, and science fun at the Omaha, Kearney and Norfolk Public Libraries. the SciFest public expo at The Durham Museum, which will feature hands-on activities and a science show from the Omaha Children’s Museum. To see the full list of SciFest events, and to plan your outings, visit the festival website at nescifest.com. In addition to NeSciFest.com, you will find SciFest updates and information on Twitter (@NESciFest) and Facebook (NE SciFest). The Science Festival is designed to make science accessible, interactive, relevant and fun for kids and adults alike.